High commodity prices seen since 2005 (Figure 1) have helped Papua New Guinea (PNG) and Timor-Leste to become the fastest-growing economies in the Pacific. This provided an unprecedented opportunity to invest in public goods and build fiscal buffers. Both countries have pursued ambitious national infrastructure plans and have expanded health, education, and other social welfare programs. However, institutional capacity shortfalls have created fiscal and economic challenges that have limited the benefits of higher public spending. PNG and Timor-Leste have faced similar challenges in scaling up infrastructure and human capital investments, but there are also important contextual differences. Having recently gained independence, Timor-Leste entered the commodity boom with no public debt. A sovereign wealth fund—the Petroleum Fund—was established in 2005 to support transparent and responsible management of the income from offshore oil and gas production. Initial estimates placed the value of future production at $2.3 billion and the sustainable level of annual withdrawals from the fund at $70.0 million. However, by 2013, these have risen to $26.2 billion and $787.0 million, respectively. Since 2007, successive governments have responded to this windfall by increasing public spending, which rose by a factor of six between 2006 and 2013. Fiscal policy provides almost the only link between offshore production and the domestic economy. Rising spending saw growth in non-oil gross domestic product (GDP) average 12.6% between 2007 and 2011. Growth fell to 7.8% in 2012 as spending declined. In contrast, PNG entered the resource boom with substantial debt. Fiscal discipline, and rising revenues from existing mineral and petroleum projects, saw the share of public debt fall from the equivalent of 72% of GDP in 2002 to 22% in 2011. At the same time, high commodity prices stimulated investments in resource exploration and development. Most notably, the start of construction of the $20 billion liquefied natural gas (LNG) project in 2009 provided strong economic stimulus and a further boost to domestic revenue collection. Differences in the nature of resource production have also had important implications for fiscal management. In PNG, the large onshore investment associated with new resource developments, such as the LNG project, have stimulated local economic activity but also placed growing strains on national infrastructure. Demand for skilled labor—in particular, for engineers and project managers—has driven up wages and made it harder for the public sector to retain and recruit skilled staff. In contrast, the offshore nature of Timor-Leste’s LNG production has meant that while the burden imposed on the local skilled labor market has been smaller, resource investment has created little spillover into the local economy. e = estimate, GDP = gross domestic product, lhs = left-hand scale, p = projection, p.a. = per annum, rhs = right-hand scale. Source: Asian Development Outlook database. Expansionary fiscal policy has seen PNG’s public debt rise from an equivalent of 22% of GDP in 2011 to an estimated 37% by the end of 2014. This debt level now exceeds the government’s Medium Term Debt Strategy (2013–2017) ceiling of 35% of GDP, which had already been revised upward from 30% in 2013. Large infrastructure projects have also sharply increased demand for imports, further weakening the currency (kina). This, combined with fiscal stimulus, has stoked price pressures, and inflation is seen to reach 8.0% by the end of 2014 from 2.2% in 2012. The private sector has also begun to respond to rising public debt by pricing in additional risk to local sovereign debts, driving government borrowing costs up to 14% toward the end of 2014. Likewise, while Timor-Leste enjoys an enviable level of national savings, a continuation of the spending growth seen in recent years would not be sustainable in the long term. Rising expenditure contributed to double-digit inflation over 11 consecutive quarters between 2011 and 2013. Such high inflation is unusual given the country’s use of the US dollar, and undermined the competitiveness of non-oil exports. Further, estimates of the size of the offshore Bayu-Undan gas field—which brings in 95% of Timor-Leste’s oil and gas royalties—has recently been downgraded. Production appears to have peaked in 2012, and the relatively conservative official projections show that Bayu-Undan will be exhausted by 2021, which is 4 years earlier than previously forecast. Spending must shift to a more sustainable path to avoid a rapid depletion of the Petroleum Fund. Perhaps the most striking similarity between PNG and Timor-Leste’s efforts to translate resource wealth into improved development outcomes has been the challenges faced by their bureaucracies in implementing rapidly growing budget allocations. Experience from the 2013 PNG national budget clearly illustrates this point. The 2013 budget allocated $2.6 billion for the annual Public Investment Program, but this was revised to $1.8 billion mid-year due to slow implementation. By November 2013, only 52% of the revised allocation (or 35% of the original amount) had been spent. Likewise, the ratio of actual to planned expenditure in Timor-Leste has averaged only 57% between 2010 and 2013. This type of budget underperformance has been particularly severe in agencies tasked with delivering major infrastructure projects, which require detailed preparation and supervision. For instance, the Department of Works and Implementation, which is responsible for about 85% of PNG’s 2014 land transport program, disbursed only 52% of its original development budget appropriation in 2013, and only 38% in 2012. A lack of implementation capacity has raised a number of challenges for obtaining value for money from higher public spending. Most immediately, implementation shortfalls result in slow project delivery, exposing major projects to cost overruns and delaying benefits to the people. In some instances, frustrated officials have also used these challenges to advocate unproductive reforms that push public funding outside the budget system, posing a broader threat to the accountability and transparency of public financial management. Limited capacity has also encouraged both countries to adopt a process of pushing unused annual budget allocations “out the door” before the close of the fiscal year. In 2012 and 2013, around half of PNG’s total capital budget was disbursed in the final quarter of the fiscal year. While under PNG’s 1986 Government Financial Statistics standards these transfers were recorded as expenditures, they have typically been placed in project-specific trust accounts that have lower levels of oversight and control. Idle trust deposits have often been transferred to pay for alternative spending priorities, further reducing the overall transparency and development impact of public spending. Similarly, between 30% and 70% of Timor-Leste’s capital budget is usually spent in the last 3 months of the year. Timor-Leste’s Infrastructure Fund has been designed to help ease the cyclical pressures caused by the budget cycle by providing a multi-year funding mechanism. However, the budget execution patterns since 2011 suggest that this has yet to fully occur. Sources: ADB estimates using data from Papua New Guinea Department of Treasury; Timor-Leste Ministry of Finance. Both countries have a relatively narrow pool of qualified government personnel administering growing numbers of infrastructure and development projects. In PNG, government agencies have particularly struggled to recruit and retain skilled staff in the face of strong competition from the private sector, particularly amid the construction of the LNG project. Institutional capacity to prepare, implement, and maintain rising public investment has also been constrained by an emphasis on funding new capital projects, with lower priority given to operational and maintenance (O&M) costs. In Timor-Leste, personnel expenditures in ministries charged with infrastructure development (the Ministry of Public Works and the Ministry of Transport and Communication) did not keep pace with rising capital budgets during the late 2000s. The ratio of staff to planned capital spending fell from about 5.0% in 2008 to just 2.5% in 2010. Since 2010, however, more resources have been allocated to increase staff. In PNG, between 2009 and 2014, the proportion of recurrent to total budget allocations fell from 60% to 51%. Again, this trend is particularly evident in the transport sector, with recurrent spending at just 11% of the Department of Public Works and Implementation’s expenditure in 2014, down from 33% in 2011. This has limited the ability of sector agencies to expand their staff in response to demands of growing investments, and jeopardizes the sustainability of investments by limiting routine maintenance. Politicization of the budget process has also amplified some of these challenges. In recent years, agencies in PNG have highlighted that national budget processes have frequently resulted in the selection of projects that were not included in sector agencies’ budget submissions. A lack of alignment between sector agency budget submissions and the approved budget has often required agencies to hurriedly prepare and implement unfamiliar projects. Further, limited feasibility and design work before projects are financed have frequently led to unrealistic cost estimates, tendering delays, and difficulties in attracting sufficient private-sector construction capacity. A sound and coherent strategy is necessary for both PNG and Timor-Leste to address implementation issues and ensure long-term fiscal sustainability. This strategy could be focused on (i) controlling expenditure growth, (ii) managing off-budget spending, (iii) avoiding unsustainable infrastructure assets, and (iv) maintaining debt sustainability. Credible plans to control future spending need to be developed in both PNG and Timor-Leste. In particular, a period of more moderate funding growth for the transport sector may be appropriate. This would give sector agencies a chance to catch up with their investment backlog and to focus on building the capacity to deliver cost-effective and sustainable infrastructure. Improving transparency of public expenditures. Fiscal risks created outside the budget process also need to be managed more transparently. In PNG, a previous reduction in public debt was largely offset by a rise in off-budget borrowing, which is now the equivalent of between 15% and 20% of GDP. Major contributors to this debt are the state’s equity and contingent liabilities associated with the LNG project, and large unfunded social security liabilities. Reflecting these liabilities explicitly in public debt figures will be important for the transparent management of fiscal risks, and will help inform strategies for gradually reducing the total debt burden. In Timor-Leste, all government liabilities remain subject to the formal budget process. The level of transparency in the management of the Petroleum Fund also remains exemplary, and extra-budget fiscal risks appear minimal at present. The government is, however, entering into long-term spending commitments, such as pensions for veterans of the fight for independence. Clarifying these commitments and recognizing ongoing long-term fiscal liabilities in annual budgets would help reduce uncertainty in the fiscal outlook. Both countries must be mindful that rising public spending, driven by a bias for new capital projects, may push national infrastructure stocks to levels beyond an affordable and sustainable level of expenditure on O&M. Further, the tendency to focus on new infrastructure in PNG—instead of providing sustainable O&M funding for existing assets—has amplified budgetary pressures, contributed to higher overall costs, and undermined the quality of service delivery. New facilities sit idle as funding remains insufficient for adequate O&M of these assets. Restrictions on public spending on goods and services, and wages and salaries started in the 2013 budget are further amplifying this trend. Similarly, Timor-Leste has focused on building new infrastructure, including a national electricity grid with large excess capacity that now requires a net operating subsidy that will be equivalent to about 5.7% of non-oil GDP in 2015, or 11.9% of the sustainable fiscal envelope. Plans to develop the south coast and upgrade the national road system must be phased gradually, and at scales consistent with near-term demand. Careful appraisal of projects is crucial to ensure high rates of return and avoid placing more pressure on public finances. Risks and opportunities associated with rising public debt in PNG and, to a lesser extent, Timor-Leste, must be carefully managed. For PNG, large budget deficits in recent years—mostly financed through domestic borrowing—highlight the importance of debt restructuring to reduce refinancing risks. PNG’s external debt is mostly long term and highly concessional, but its domestic debt stock (roughly 70% of the total) has an uneven maturity profile. About 30% of domestic debt is composed of Treasury bills with maturities between 3 and 6 months. The rest is longer-term debt, but with bunching maturities, which means much of it will need to be refinanced around the same time. If government revenues fall unexpectedly, or if any of the three major commercial banks decide to reduce their exposure to public debt, rolling over existing debt may become difficult. Adjusting the domestic debt stock toward a longer-term maturity profile with a smoother repayment schedule would help lower debt refinancing risks significantly, and bolster the economy’s ability to withstand shocks. With large savings in its Petroleum Fund, Timor-Leste currently has little need for additional financing. However, it can benefit from tapping external development resources that help to ensure high-quality implementation of new infrastructure and human capital investments. Since 2012, it has taken concessional loans from the Asian Development Bank, Japan International Cooperation Agency, and the World Bank to fund road construction. The cost of borrowing is below the expected rate of return on Petroleum Fund assets. Where borrowing replaces funds that would otherwise have been withdrawn from the fund, the lower cost of capital for concessional loans provides an added financial benefit. Reforms must be supported by institutional development and sustained efforts to address capacity constraints over the long term. For agencies tasked with delivering priority projects, significant investments will also be needed to attract skilled engineers and project supervisors away from the private sector. Fortunately, there are already some solid practical steps being undertaken in PNG and Timor-Leste. Both countries have passed laws that define the legal basis for public-private partnerships (PPPs) and are forming specialized units to prepare and manage PPP transactions. PPPs can help ease implementation risks and capacity constraints through greater use of private sector expertise. They can also provide a useful mechanism for project financing, although contingent liabilities that result from PPP transactions must also be carefully managed. 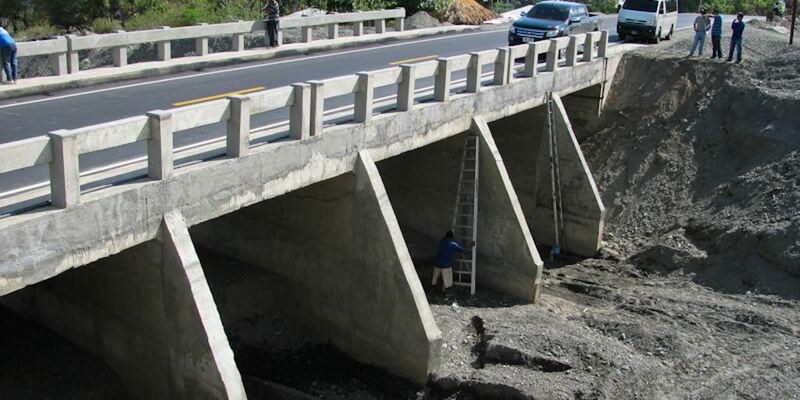 In PNG, central government agencies are working to improve infrastructure budget coordination and planning, assisted by continued efforts to integrate the recurrent and capital budgets and by publishing 5-year forward spending estimates for all new projects. The 2014 budget also introduces measures to control the use of trust accounts to hold, and at times reallocate, unspent project funds. The government is reviewing all trust accounts to identify funds that can be returned to the consolidated revenue fund. The transfer of unspent funds to existing or new trust accounts has also been prohibited starting with 2013 projects. In Timor-Leste, public investment rose in parallel with the development of the institutional framework for public financial management. Major changes were made in 2011 with the creation of the Infrastructure Fund as a multi-year funding mechanism for new infrastructure, and the creation of the Major Projects Secretariat, the National Development Agency, and the National Procurement Commission. These institutions are designed to strengthen planning, appraisal, procurement, and implementation associated with large projects. Institutional design adapts to scarce public sector capacity by centralizing key functions that had been distributed among line ministries. Timor-Leste also continues to adjust its legal and institutional arrangements to strengthen public financial management. The Ministry of Finance has begun implementing a detailed plan to upgrade systems and processes used across government. Annual budget appropriation bills have also been used to pilot regulations to enhance budget execution and spending quality. These include a 10% limit on the use of single-source procurement, new rules concerning budget execution rates (i.e., if year-end execution is projected to be below 80% by the third quarter, government is required to reduce allocations by rectifying the budget), and controls on the timing of excess withdrawals from the Petroleum Fund (i.e., execution must be above 75% by the end of the third quarter to allow an excess withdrawal). The Timor-Leste National Procurement Commission provides an interesting example of a gradual and long-term approach to reform. Upon establishment, it initially outsourced its core functions to a reputable international firm. It has then moved gradually to build capacity by recruiting international specialists to fill key roles and transfer skills to local staff. Given the time needed to develop new institutions, both countries will face trade-offs between a gradual approach and more sweeping changes to improve capacity and performance. ADB. 2014. Asian Development Outlook 2014: Fiscal Policy for Inclusive Growth. April. Manila. Batten, A. and C. Edmonds. 2013. Managing fiscal risks amid resource booms: Lessons from Papua New Guinea and Timor-Leste. Devpolicy Blog, Development Policy Centre, Australian National University. May. International Monetary Fund. 2014. Papua New Guinea: 2014 Article IV Consultation—Staff Report (forthcoming), Washington, DC. Aaron Batten is senior planning and policy economist at ADB's Strategy, Policy and Review Department. He was the country economist at the Viet Nam Resident Mission and served in the same role at the Papua New Guinea Resident Mission before that. Prior to joining ADB, he was economic adviser to the Government of Malawi, focusing on fiscal reform and debt management. He has also worked on structural reform and regional trade and integration issues at the East Asian Bureau of Economic Research and the Australian Commonwealth Treasury. Christopher Edmonds managed ADB’s economics research for the Pacific, and overseed the flagship Pacific Economic Monitor publication. He provided economic inputs to ADB’s various loan operations and programming efforts for the Pacific. Rommel Rabanal is a regular contributor to the Pacific Department’s quarterly macroeconomic monitoring and surveillance cycle. His other responsibilities include analytical contributions to knowledge products, and periodic capacity building missions to Pacific countries on fiscal and economic analysis.